Perhaps you have heard the names Michelangelo, Cassatt, and Pollock, and hungered for an opportunity to know more about the motivations behind their art? Maybe you have long enjoyed looking at paintings, sculptures, and other works of art, but struggled to find the words to talk about what attracts you and why? Or, maybe, you've walked into art galleries and museums and, like many critics of contemporary art, scoffed ‘any child could do that,' while at the same time wondering why the astronomic prices of the art market, along with the celebrity culture of the art world, tell another narrative? In any of these scenarios, and many others, this is the course for you! In ARHY112, we will study the history of European and American art from the early Renaissance through the twentieth century. We will learn the vocabulary for thinking and writing about art, become familiar with the major artists and theorists over these centuries, and develop the skills to practice "critical viewing." In this course, art will be understood as a vital element in a complex network of social, cultural, economic, and political forces. Whatever professional direction you might choose to eventually pursue, your art history course will have relevance in training you to think and write critically, as well as providing you with a strong foundation in the historical and cultural knowledge of the long tradition of artistic practice and humanist thought. In this class on "Theatrical Portraits" we will be reading plays that emphasize the dynamic nature of particular characters as well as the prevalence of the portrait as a significant object on stage. We will also be discussing the ways in which art intersects with theater at particular time periods. We will explore how portraits have promoted the careers of actresses and actors in the past and present, paying close attention to the intersections between portraiture and celebrity. Particular attention will be paid to issues of gender, class, race, sexuality, and nationality in relation to performance and visual culture. Although you do not need to have any prior theater experience to take this class, the class will meet in the theater and we will be doing several assignments that are centered on performance. Plays may include: Henrik Ibsen's Hedda Gabler, William Shakespeare's Macbeth, George Bernard Shaw's Pygmalion, Yasmina Reza's Art, John Guare's Six Degrees of Separation, Sarah Treem's Mirror, Mirror, Anna Deveare Smith's Fires in the Mirror, and Lynne Nottage's Sweat. The UCOR 101 course is, arguably, the most important class you will take in college. Not only does this class prepare you for the writing you will be required to do over the next four years, it also prepares you to manage your time, read critically, produce professional-quality work, and move your mindset from high school to college. Moreover, this class will also ask you to consider the origins and makeup of your beliefs, motivations, and ideals. More than simply teaching you how to write effectively, this course helps you become an active and engaged member of society who makes considered and well-informed decisions. In order to achieve these goals, you will-over the extent of the semester-read texts, watch a film, attend speaker presentations, and participate in discussions. As a skills-based course, the writing component is extremely important. You will draft. You will revise. You will edit and polish. You will be open to criticism, and you will attempt to provide others with valuable insight into their work. You will learn to use properly documented research to substantiate your claims. This course will be an individual and communal as well as a progressive and regressive writing experience. This course will demand renewal and commitment, and will reward you with written texts that document your time, growth, imagination, and ideals. This course will challenge you, and I urge you to take an active role, set your expectations high, and take risks in the development of your knowledge and self. 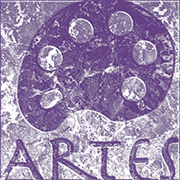 This course is also part of the Artes learning community. As such, several of your UCOR classes will incorporate concepts of visual art into their curriculum. In this course, we will attempt to consider the visual arts in relation to the concepts of verbal imagery and evidence. In particular, we will learn how to represent large, abstract issues in concrete particulars, and how to use those particulars to persuade audiences to trust and accept our arguments. Our course will include an entire section on visual arguments-such as those offered in commercials, but we will focus on matching the form of our language to its content, so our words both present and explain our ideas and beliefs.